Some of the links in this post are affiliate links. All opinions remain my own. Vaping cannabis is quickly becoming the industry standard. With its rise in popularity, companies are scrambling to make the best battery possible. After all, the battery is about 90 percent of the whole pen, to begin with. Taking factors such as style and shelf life into consideration, the vaping experience has become a pretty customizable one. So, if you are looking for the best 510 battery to vape cartidges, read on as I weigh the pros and cons of the most popular brands on the market. You might not even realize it, but what you see when you are looking at a vape pen is the battery. This is the piece that you hold in your hand as you vape away on concentrates. The battery attaches to the concentrate and mouthpiece to generate the clouds of smoke. So, when you are choosing a 510 thread battery, style plays heavily into the decision because this is what the rest of the world will you see puffing away on. What is a 510 Battery? When buying your first vape pen, you might notice that the battery is labeled as a 510. At this point, this is almost the industry standard. 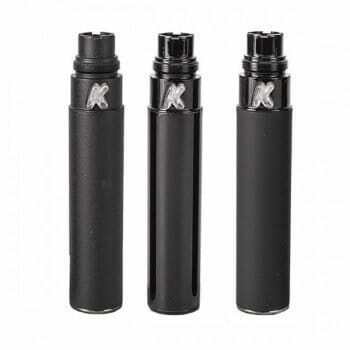 The 510 is a reference to the thread at the end of the battery that attaches to the atomizer. That’s because if there are threads on your battery, there will most likely be 10 of them that measure a distance from one another of .5 mm each. When vaping was in its infancy, there were many other popular sizes on the market, namely 801 and 306. The 510 took the lead in the industry when the Joye 510 rose to prominence. Now that 510 has become the norm, a lot of batteries without threads will use this term as well. It just means that the battery is compatible with almost every type of cartridge out there. With Slim in the name, KandyPens don’t kid. This sleek 510 battery is very light and discreet. Due to its size and appearance, this is a beautiful transition piece for those who are moving on from smoking joints or cigarettes, because it handles like one. It's a buttonless pen, so you draw on your oils through the mouthpiece whenever you want a hit. The Slim contains a 180 mAh battery inside, which is one of the smallest in the world of vaping. Being so small, this battery does not hold a charge for a prolonged period of times. Luckily enough, the KandyPens Slim Battery comes with a convenient USB output so you can recharge in between your travels. E-liquids and concentrates have full flavor, as do waxes. However, they don’t call this thing Slim for no reason. You need to make sure you waxes are thinned down enough to fit between the tanks and atomizers within the unit. The coils are prone to wear out quickly, but replacements are easy enough to find through Kandypens or online retailers. 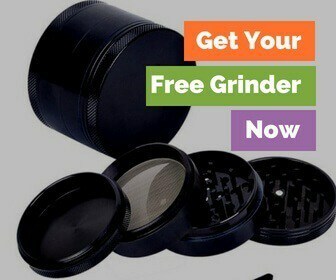 If you are an avid smoker, your best to get these in bulk because you will find yourself replacing often. A little more significant than the Slim, the Green World Auto Draw boasts a 280 mAh battery, making its shelf life a bit longer. However, if you need to plug in at your local Starbucks or bar, this vape pen also has a USB charger included in the frame. While drawing the vape is buttonless, one button controls everything else on the top. To turn the vape on before a session and off when you are done, you need to hit the button five times. This will put you in Auto Draw mode, which means you can puff and go, no need toggling necessary. However, you can also personalize your experience through the same button. Three hits of this button will allow you access to the four presets. From there, each click will change the color you see, as you toggle between the four preset heats. To lock in the temp, give the piece a double-click. So, if you want a long-lasting battery and personalization in a sleek pen form, this 510 battery is a great option. However, you will find yourself clicking like a maniac trying to ring in on a Jeopardy question. With a 1300 mAh battery, this vape pen will hold a charge longer than any other 510 battery on this list. While this boasts a longer charge time, one of the drawbacks of this apparatus is its bulky frame. This vape pen is far less discreet than many others on the list. However, this piece also has a few features that differentiate it from others on the market. For one, it comes with short circuit protection. If a short pops up, the battery will automatically shut down until the short is gone. This will stop the battery from completely burning out. Just like the Green World Auto Draw, the EVOD Twist VV has a five click powering system. However, if the button remains idle for longer than 10 seconds, it will conveniently shut down automatically. If you can't wait the 10 seconds, you may also do the five clicks off as well. The battery will also power off when the battery becomes discharged. If you are need of a charge, the battery will blink five times, giving you plenty of time to plug in. Lastly, this 510 battery also has multiple preset temperatures. The spectrum is a bit wider than Green World. While the Green World ranges from 3.5 volts to 4.1 volts, the EVOD Twist varies from 3.1 volts to 4.8 volts. This is without a doubt the best 510 battery for those who love their dabs. 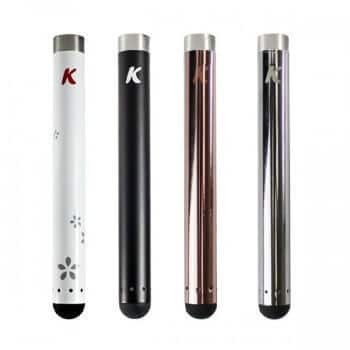 One of the most significant advantages to the KandyPens Gravity its dual coil action. You can use the dual quartz crystal rod atomizer for shorter puffs and huge, flavorful clouds of vape. Otherwise, you can use the coil-less ceramic plate atomizer for low temp dabs. Combusting dabs on a lower temp will allow for smooth, slow puffs. With four preheat settings, it’s easier to find that sweet spot than the Gravity’s predecessor, Galaxy, which offered with its three preheats. While discreet, the LED light on this battery is obnoxiously bright. So, if you are trying to vape in the dark without drawing attention to yourself, this would be like playing hide-and-seek in the pitch black with a flashlight in your hand. The mouthpiece of this battery comes with an air carb. That allows for air to flow through the battery without clogging the pathways. Releasing your thumb off of the air carb lets for a nice rush after you’ve been inhaling past 5 seconds. This 510 battery is pretty bare bones. It comes with a 280 mAh battery, so it lasts about as long as the Green World, but longer than the Slim. However, it does come with a USB charger if you need to plug in. Sleek in structure, this 510 battery comes with a coating that makes for a no-slip grip, which is handy for all those vape pen fumblers out there. There is no clicking necessary to get this going. Once you attach the concentrate cartridge to the piece, it will automatically power on. All you need to do is inhale from the mouthpiece to draw the vape. While this can help in preserving battery life, you must also remember to unfasten the cartridge for the ultimate energy-saving strategy. With the word, “Light,” inscribed in huge letters across the bottom of the battery, this isn’t the most discreet of the vape pens on this list. And for the record, they don’t play with the light either! To turn this battery on, you must click the Dr. Dabber logo on the bottom. You will indeed not mistaken if this thing is on because the LED light illuminates in a vibrant shade of blue to let you and the whole world know that this battery is up and running. While it is advertised as the "Dr. Dabber Light," it is still a 510 battery, so it is compatible with almost every 510 cartridges readily available. The next big drawback on this piece are the wicks. Wicks compatible with the Dr. Dabber Light tend to wear out a lot quicker than the wicks used in all the other 510 batteries on this list. That’s because this wick is made out of ceramic fibers, rather than titanium or quartz. Due to the composition of ceramic wicks, they tend to hold onto residue from vape more than atomizers made of other elements. As the gunk piles up, the quality of vapes become compromised. While this 510 battery does come with a replacement wick, you will still need to stay current on the upkeep, swapping these wicks out every three to four weeks. Complaining aside, this is a competent pen for its size. Although small, it holds a decent battery charge and produces considerable sizes of smoke clouds. 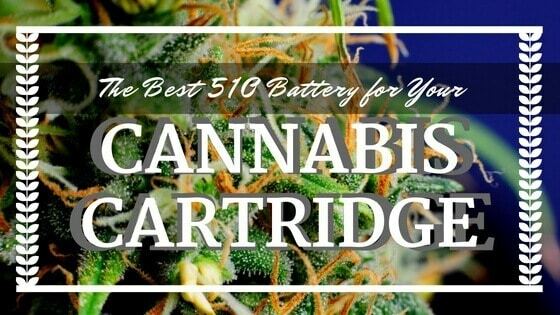 If you are going to be buying cannabis oil cartridges, you need to buy the best 510 battery you can find. It just makes the experience that much better. If you get the cheapest on you can find, you will constantly be having to fidget with it to connect to the cartridge properly. And, thy won't hit nearly as well! What do you think the best 510 battery is? Let us know if you've tried and of these out! Tony Jr is the Founder and Editor-in-Chief of THCoverdose.com. If he’s not smoking, writing or watching anime, then you can usually find him on the couch yelling over terrible play calling. Best Hair Straightener for Rosin: Is Making Rosin Worth It? What is Live Resin & is It Worth the Extra Cost? Nothing on this website should be considered legal or medical advice or as a substitute for legal or medical advice. Please respect the marijuana laws in your state. Nothing on this website should be considered legal advice. Please respect the marijuana laws in your state. Please read our full disclaimer. THCoverdose.com participates in various affiliate programs, and we sometimes get a commission through purchases made through our links at no extra cost to you! Read our full earning disclaimer here.